With heavyweight layered stock that features a vibrantly colored core and vibrant full color print, color core announcements are ideal for your customer's most exciting events. 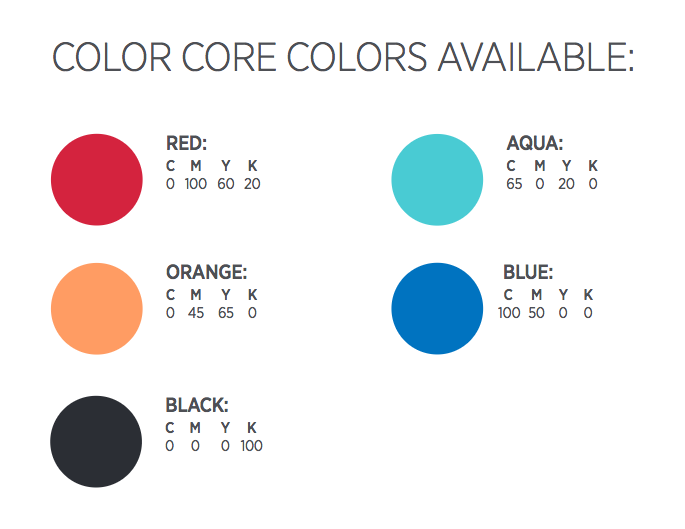 Match the color core to the printed image for a coordinated, polished look. 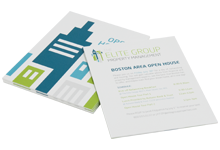 Bring a touch of luxury to your full color announcements with heavyweight extra thick stock. Two layers of Mohawk Superfine stock stack up to create quality you can feel. Versatile full color print allows you to personalize this double-layered heavyweight stock with almost any image, making these announcements a versatile way to incorporate this high quality stock into your event. 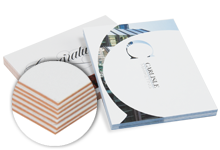 Mohawk Fine Papers / Superfine Eggshell® Ultrawhite 34 pt.